Born: January 12, 1759 in Rochester Ma. 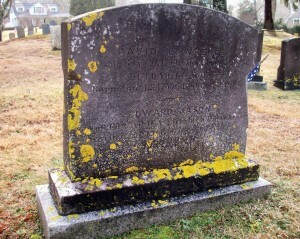 Died: October 3, 1843 in Pocasset Ma. To: David Lawrence; (1760 – 1845) (Robert Lawrence & Elizabeth (–)); David married (1) Sabra/Sabrina Lovell Abt. 1782. 1. Edward Doty Lawrence; (May 26, 1799 – September 16, 1887); Married Elizabeth Brown Howard (1806 – 1880) (Calvin Howard & Chloe Fuller) in int. December 8, 1829; Edward & Elizabeth are buried in Cataumet Cemetery. 2. 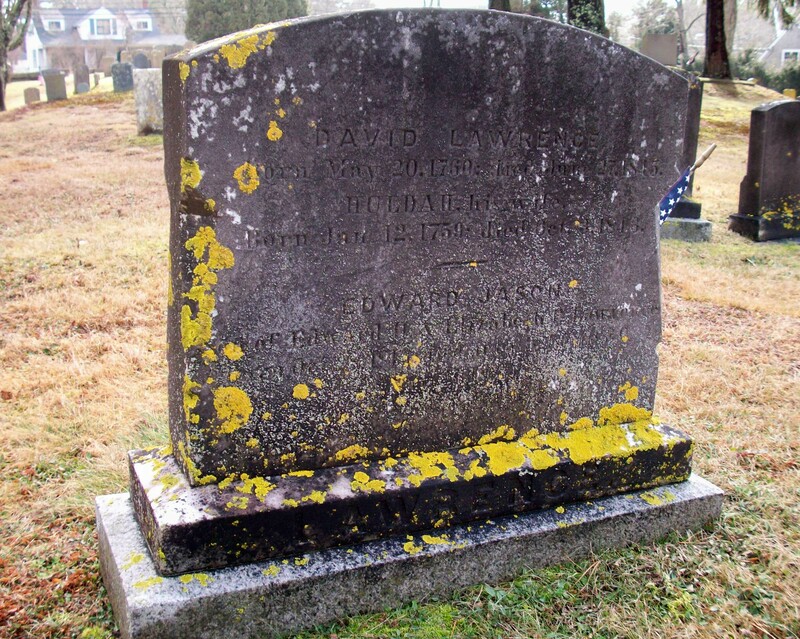 Maryann N. Lawrence Dimmick; (December 27, 1801 – December 27, 1891); Married Frederick Dimmock, Capt. (1794 – 1874) (David Dimmick & Mercy Doane) in Sandwich Ma. on August 27, 1829; Frederick married (1) Rhoda Hall (1796 – 1827) in int. January 18, 1823; Maryann, Frederick & Rhoda are buried in Cataumet Cemetery.